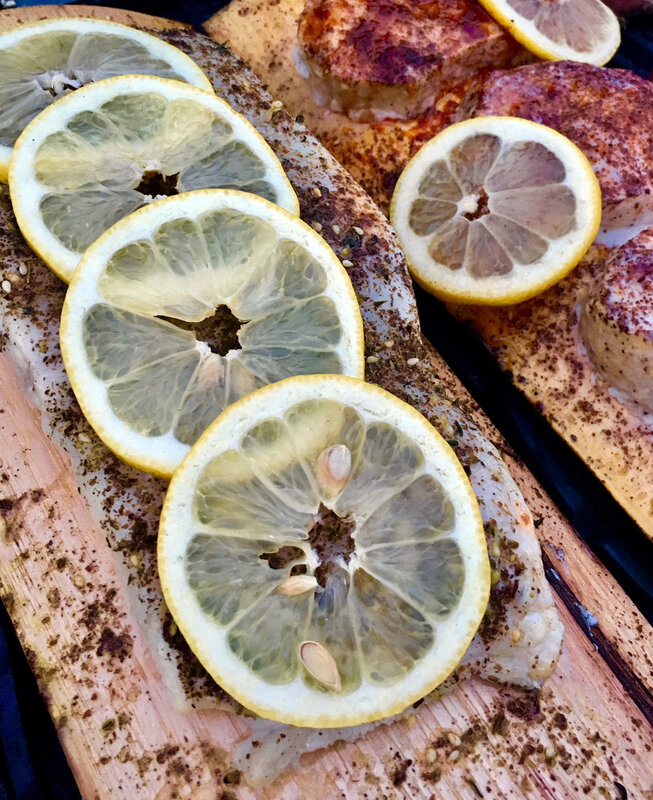 Wood Plank Grilled Fish — The Local Catch, Inc. - The Best Rhode Island Seafood! Submerge planks in water and soak for 4–24 hours. Preheat grill on high heat. Place plank on grill for 1 minute to begin slightly charring board. Remove and rub charred side with olive oil. Place fish skin side down on charred side of plank. Season with salt, sumac and smoked paprika. Lay lemon slices on top of fish. Place planks on the grill and close the lid. When smoke begins to pour out of the grill, reduce the heat to low and cook for approx. 10–15 minutes or until fish is just cooked through. Note: Cooking time will vary depending on the thickness of your fish (approx. 15 minutes per inch of thickness). Tips: If planks catch fire, spritz edges with water. Hickory imparts a smokier flavor into fish. Cedar planks can be used as well. Planks can be re-used a second time! Rinse and air-dry thoroughly before storing for future use.